Two people were killed in a Humboldt Park shooting Friday morning, police said. 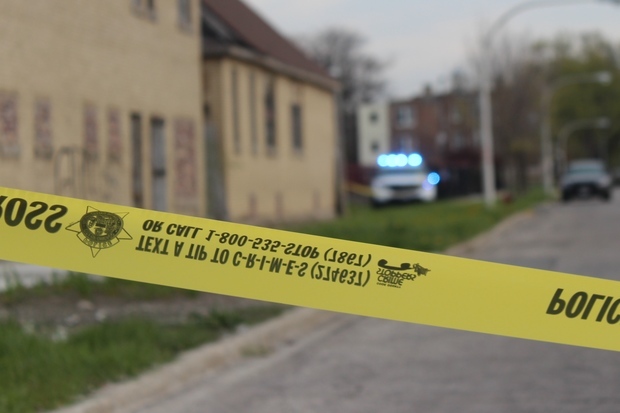 HUMBOLDT PARK — Two people were killed in a Humboldt Park shooting Friday morning, police said. The shooting happened around 10 a.m. in the 3800 block of West Augusta Boulevard, according to police. Police arrived on the scene to find two men dead with gunshot wounds. One man was standing on the street talking to the other man, who was in a parked car facing west, police said. A silver SUV turned west on Augusta from Hamlin and someone inside shot at them. The men were identified as Lonnie Hartman, 31, of the 5000 block of West Maypole, and Kenta Ali Holifield, 39, of Indianapolis, according to the Cook County Medical Examiner's Office. Hartman was pronounced dead at 10:36 a.m. and Holifield was pronounced dead at 10:14 a.m.